From billionaires, to multimillionaires, to other business owners that have changed the world, tons of entrepreneurs have left their mark. That said, only a small percentage of these entrepreneurs wrote about their business journeys or had their stories chronicled by others in books. An even smaller percentage of the books written about the founding of huge companies are high-quality reads. I don’t want you to waste your time going through books that won’t help you even if they’re about interesting entrepreneurs and their companies. So, I decided to compile a list of the best books written by or about successful entrepreneurs and the founding of their companies. This list of books contains classic stories about the founding and growth of Apple, Nike, Walmart, McDonald’s, The Home Depot, Twitter, and more. But, it also has books about companies that are less well-known like Zendesk, Gilt Groupe, Juicy Couture, Clif Bar, and others. 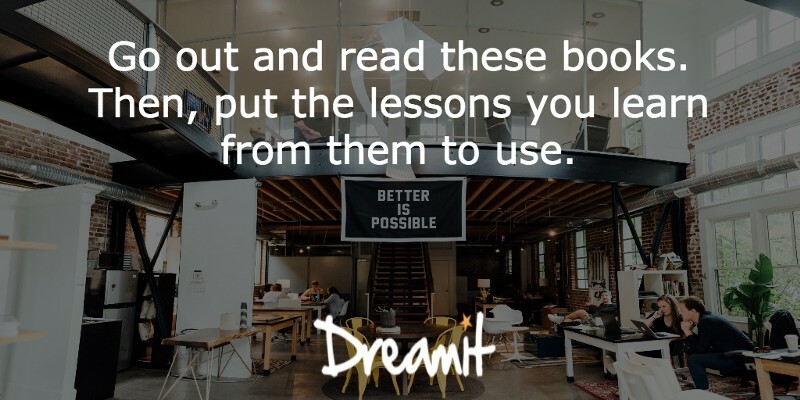 There’s plenty to learn about entrepreneurship, marketing, hiring, firing, management, raising money, and other crucial topics from these books. So, start reading and learning from them today. Photo Credit to R Networth. 1. 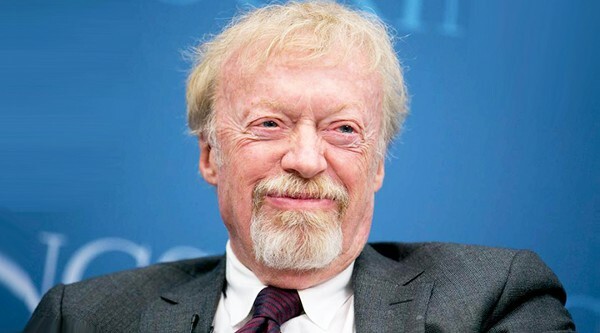 Shoe Dog: A Memoir by the Creator of Nike by Phil Knight: Learn about the man behind Nike, the company that changed the shoe and athletic industries forever. Read this book if you want to know about the setbacks, risks, and triumphs involved in building Nike. 2. How to Win at the Sport of Business: If I Can Do It, You Can Do It by Mark Cuban: There are few entrepreneurs and businesspeople better than Mark Cuban. 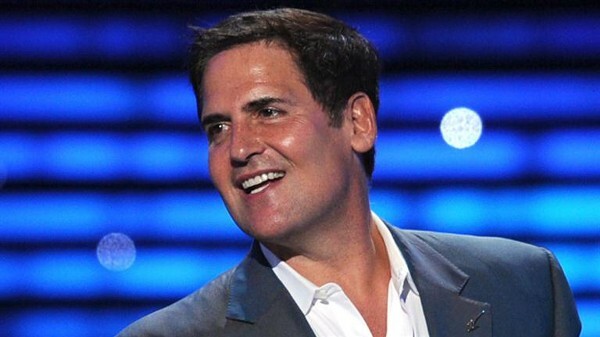 In this book, Cuban tells the story of how he went from poor college kid to billionaire and shares some of his best business advice along the way. 3. Call Me Ted by Ted Turner with Bill Burke: Ted Turner created a media empire with CNN, TBS, and his other cable channels. In the process, he became a billionaire. This book describes Ted’s journey of building a media powerhouse and goes into other important parts of his personal life. Photo Credit to Fast Company. 4. #GIRLBOSS by Sophia Amoruso: In this book Sophia Amoruso tells her life story along with how she founded Nasty Gal, an ecommerce company with $100M+ in annual revenue. Sophia discusses how she went from being broke at a day-job she hated to creating her own vintage fashion company. 5. Losing My Virginity: How I Survived, Had Fun, and Made a Fortune Doing Business My Way by Richard Branson: In this autobiography Richard Branson shares the story of starting more than 100 different businesses with The Virgin Group while living life to the fullest. Photo Credit to UVA Magazine. 7. The Hard Thing about Hard Things: Building a Business When There Are No Easy Answers by Ben Horowitz: This book contains Ben Horowitz’s best management tips for the most difficult situations you’ll face as entrepreneur. When giving out these strategies, Ben tells stories about the difficulties he faced when running his company, Opsware. 8. In The Plex: How Google Thinks, Works, and Shapes Our Lives by Steven Levy: In this book, Steven Levy chronicles the founding of Google through its meteoric rise. Toward the end, Levy looks at Google’s missteps in China and with social networking. Every entrepreneur can benefit from learning about the founding and growth of the Internet’s most valuable company. Photo Credit to AOL Small Business. 9. By Invitation Only: How We Built Gilt and Changed the Way Millions Shop by Alexis Maybank and Alexandra Wilkis Wilson: If you want to start an ecommerce startup, you should check this book out. In it two co-founders of Gilt Groupe share how they built the innovative online fashion company around flash sales. 10. 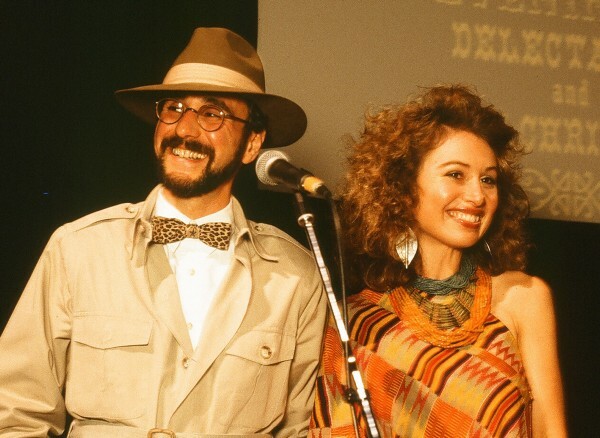 Wild Company: The Untold Story of Banana Republic by Mel Ziegler and Patricia Ziegler: Banana Republic started with a $1,500 investment from its two founders who had no business experience. In this fun book they tell their founding story of Banana Republic, how they sold to The Gap, and why selling to The Gap hurt the business in the long run. 11. Hatching Twitter: A True Story of Money, Power, Friendship, and Betrayalby Nick Bilton: Twitter is one of the world’s most important websites and social networks, but how did it get to that point? Nick Bilton uncovers the hard work, setbacks, and infighting that happened for Twitter to become the company that it is today. 12. Onward: How Starbucks Fought for Its Life without Losing Its Soul by Howard Schultz with Joanne Gordon: This is the story of how Howard Schultz returned to Starbucks as CEO after stepping down from the role eight years earlier. 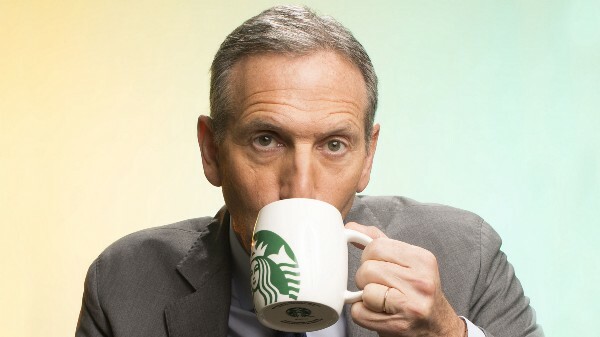 More importantly, it’s the story of how Schultz didn’t just save Starbucks’ financially, but saved the company’s humanity as well. 13. Built from Scratch: How a Couple of Regular Guys Grew The Home Depot from Nothing to $30 Billion by Bernie Marcus and Arthur Blank with Bob Andelman: How does a company start from nothing and grow to 761 stores and more than $30 billion in sales in just 20 years? In this book, you’ll learn about the founding and growth of The Home Depot from the two men who created it. 14. Sam Walton: Made in America by Sam Walton: Walmart is the biggest retailer in the world. This autobiography from Sam Walton discusses how he built the company and contains interviews from many of his family members too. Photo Credit to NBC News. 15. 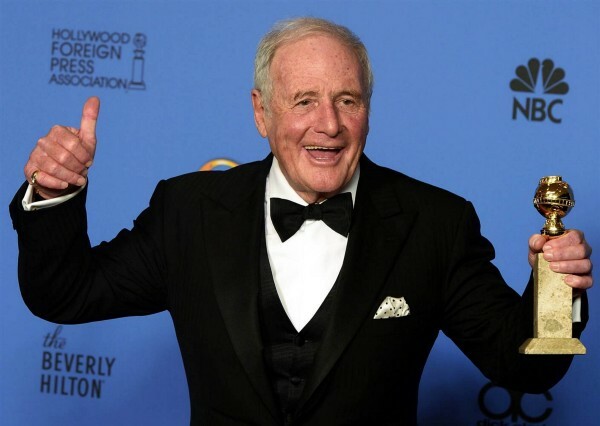 When I Stop Talking, You’ll Know I’m Dead: Useful Stories from a Persuasive Man by Jerry Weintraub with Rich Cohen: This book follows the career of Jerry Weintraub as he took Elvis on the road, helped produce movies like The Karate Kid, and more. Weintraub is one of the most successful entertainment executives and dealmakers of all time. If you want to start an entertainment business or get better at negotiating, this book is for you. 16. Grinding It Out: The Making of McDonald’s by Ray Kroc with Robert Anderson: Ray Kroc was 52 years old when he opened his first McDonald’s franchise. In this book he tells the stories of growing McDonald’s, changing the restaurant industry, and turning franchising into a viable business model. 17. Bloomberg by Bloomberg by Michael Bloomberg: Bloomberg L.P. is the premier investment information and media company. In this book, Mike Bloomberg talks about how he built his hugely successful technology and media company after being dismissed from Salomon Brothers. 18. In My Shoes: A Memoir by Tamara Mellon with William Patrick: Every startup founder faces some adversity. Tamara Mellon faced lots of adversity while building Jimmy Choo into a billion dollar brand. Read the story of how Jimmy Choo started and grew while its founder battled toxic influences in her life. Photo Credit to Inc Magazine. 19. Direct from Dell: Strategies that Revolutionized an Industryby Michael Dell with Catherine Fredman: Michael Dell started Dell Computers with just $1,000 and built it into a PC powerhouse. In this book, he shares the mistakes he made and the most important lessons he learned building his company. 20. The HP Way: How Bill Hewlett and I Built Our Company by David Packard: Hewlett Packard started in a Silicon Valley garage and became one of the most valuable tech companies in the world. David Packard talks about the strategies HP invented and used to grow quickly. He also shares other stories from the HP journey. 21. Behind the Cloud: The Untold Story of How Salesforce.com Went from Idea to Billion-Dollar Company and Revolutionized an Industry by Marc Benioff and Carlye Adler: Salesforce.com is one of the most successful and fast-growing cloud companies of all time. 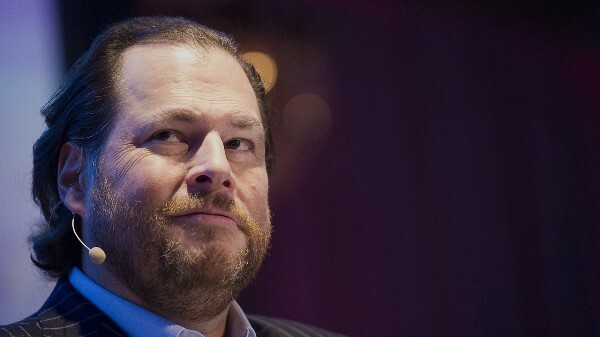 Marc Benioff, founder and CEO of the company, shares the strategies he and his teammates used to build the company in this book. 22. The One World Schoolhouse: Education Reimagined by Salman Khan: Sal Khan isn’t an entrepreneur, but he’s the founder of Khan Academy, which is one of the world’s most important non-profits. In this book, Sal lays out his vision for education and tells the story of how he started and built Khan Academy. 23. Startupland: How Three Guys Risked Everything to Turn an Idea into a Global Business by Mikkel Svane with Carlye Adler: Zendesk did not have a conventional Silicon Valley rise to the top, and Mikkel Svane tells that story in this book. Few entrepreneurs have written extensively about building a public enterprise software company like Mikkel in this book. 24. Founders at Work: Stories of Startups’ Early Days by Jessica Livingston: Y Combinator was the first successful startup incubator and has become a thought leader in tech. 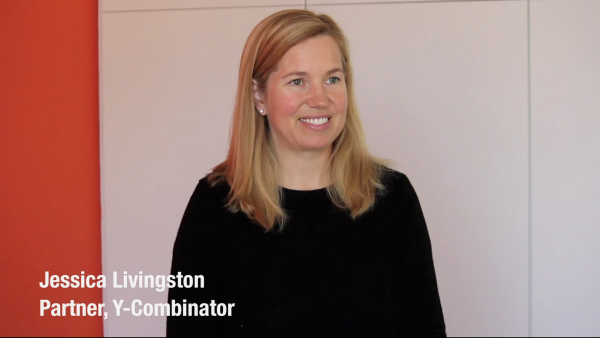 Jessica Livingston is a co-founder and partner at Y Combinator. In this book she tells the stories of some of Silicon Valley’s most successful companies through interviews with their founders. 25. The 7 Day Startup: You Don’t Learn Until You Launch by Dan Norris: This book contains tons of practical business advice from the founder of a fast-growing startup called WP Curve. You’ll hear about Dan’s own business experiences while learning how to start your own online business in just seven days. 26. Do the KIND Thing: Think Boundlessly, Work Purposefully, Live Passionatelyby Daniel Lubetzky: In this book the founder of KIND Healthy Snacks tells the story of how he started a company that aimed to sell healthy, tasty snacks that would make the world a better place. 27. 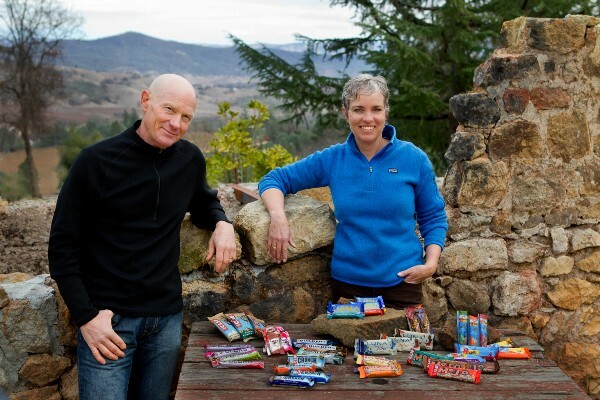 Raising the Bar: Integrity and Passion in Life and Business: The Story of Clif Bar Inc. by Gary Erickson with Lois Lorentzen: Back in 2000 the Clif Bar Inc.’s founder and CEO, Gary Erickson, could have sold the company for $120 million. But, he chose to continue working tirelessly at running and growing it. In this book he shares the story of his life and how his journey led him to start and run Clif Bar Inc.
28. The Responsible Company: What We’ve Learned From Patagonia’s First 40 Years by Yvon Chouinard and Vincent Stanley: This book teaches readers how to reduce the environmental impact of their businesses, make high-quality products, and treat employees and customers with respect. Patagonia has been doing all of those things and more for 40+ years and is considered to be one of the world’s coolest companies. 29. Stirring It Up: How to Make Money and Save the World by Gary Hirshberg: Stonyfield Farm is one of the most successful yogurt and dairy product companies in the US. In this book, Gary Hirshberg (its founder, CEO, and President) shares practical advice for building an enormous, ethical business from his own work at Stonyfield. 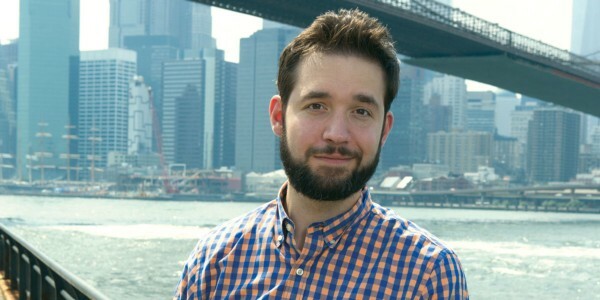 Photo Credit to Business Insider. 30. Delivering Happiness: A Path to Profits, Passion, and Purpose by Tony Hsieh: Many people think Zappos has the best customer service in the world. 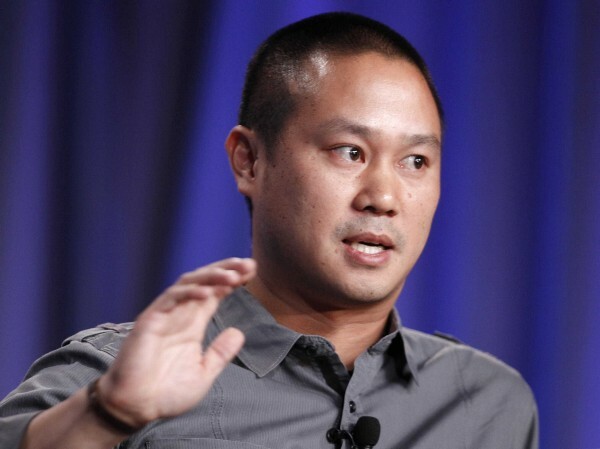 In this book, Zappos’ long-time CEO (Tony Hsieh) shares how building the right company culture allowed Zappos to become an extremely successful company. 31. Start Something That Worksby Blake Mycoskie: TOMS Shoes revolutionized the business world with their One for One initiative. By giving away a pair of shoes to people in need for every pair the company sold, TOMS had a meteoric rise to the top of the footwear world. In this book, the founder of TOMS tells the story of how he started the company and helps you learn how to create an ethical business too. 32. Mission in a Bottle: The Honest Guide to Doing Business Differently — and Succeeding by Seth Goldman and Barry Nalebuff: A few years ago it felt like Honest Tea had taken the world by storm. In this graphic-book the founders of Honest Tea tell their story that involved 15 years of hard work and share lessons learned about business along the way. 33. Idea Man: A Memoir by the Cofounder of Microsoft by Paul Allen: Most people only talk about the founding of Microsoft from Bill Gates’ perspective. 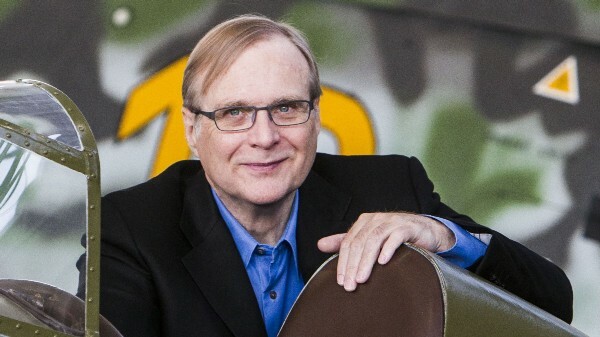 In this book, the other Microsoft co-founder (Paul Allen), shares the story of his life and involvement with the company. 34. iWoz: Computer Geek to Cult Icon: How I Invented the Personal Computer, Co-Founded Apple, and Had Fun Doing It by Steve Wozniak with Gina Smith: Just like Paul Allen and Microsoft, most people don’t talk about the founding of Apple from Steve Wozniak’s perspective. 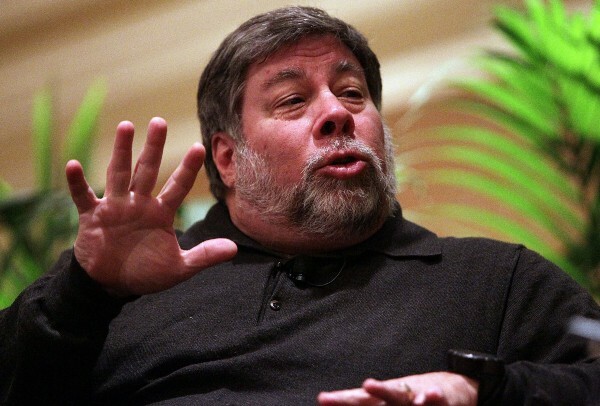 Yet, Steve was a co-founder of Apple. In this book he tells all about his time at Apple along with other interesting stories from his life. 35. Lucky or Smart? : Secrets to an Entrepreneurial Life by Bo Peabody: Bo Peabody isn’t a household name, but he’s an extremely successful entrepreneur that started five businesses in different industries. In this book he goes through the founding story of each business and teaches you the lessons he learned on his journey. 36. Creativity, Inc.: Overcoming the Unseen Forces That Stand in the Way of True Inspiration by Ed Catmull with Amy Wallace: Pixar Animation is the most successful computer animated movie studio of all time. Ed Catmull was a co-founder of Pixar and in this book he shares the company’s story from his perspective along with what makes it such a creative organization. 37. Smartest Guys in the Room: The Amazing Rise and Scandalous Fall of Enronby Bethany McLean and Peter Elkind: This book is a cautionary tale about what not do if you want to run an ethical business. Enron was a powerhouse energy company for years that crumbled because of fraud. Thousands of people lost their jobs and retirement funds as a result and Enron only lived on in infamy. Read this book to get the whole story. 38. The Glitter Plan: How We Started Juicy Couture for $200 and Turned It Into a Global Brand by Pamela Skaist-Levy and Gela Nash-Taylor: Starting a new clothing brand is hard, but that’s exactly what the two authors of this book did. They then sold it for more than $50,000,000. 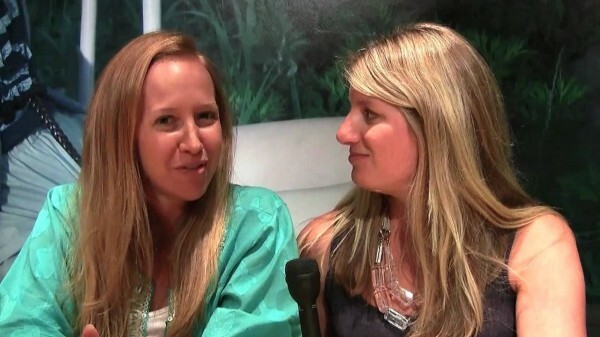 Hear the story of founding and growing Juicy Couture from the best friends that made it happen. This is by no means an exhaustive list of the best books about entrepreneurs and their companies (though we tried to turn it into one). If I missed a book that you feel should be on the list, suggest that I add it in the comments.